WASHINGTON: Scientists are in the process of making strides in the area of ebola treatment. In an animal study of vaccinating a monkey for ebola and then exposing it to the virus, the vaccine has been found effective. A single dose of an experimental Ebola virus (EBOV) vaccine, currently undergoing testing in humans, completely protects monkeys against the current outbreak strain, when given at least seven days before exposure, scientists have found.The vaccine partially protects the cynomolgus macaques against the EBOV-Makona strain if given three days prior, researchers said. 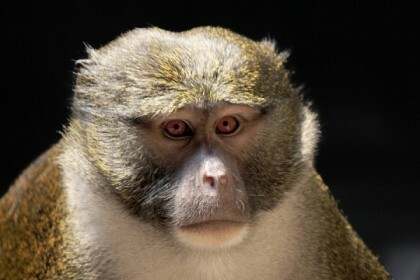 The live-attenuated vaccine, VSV-EBOV, uses genetically engineered vesicular stomatitis virus (VSV) to carry an EBOV gene that has safely induced protective immunity in macaques. The experimental vaccine is currently undergoing testing in a global clinical trial in humans. VSV, an animal virus that primarily affects cattle, has been successfully tested as an experimental vaccine platform against several viruses. Prior to this study, scientists had no information about how monkeys vaccinated with VSV-EBOV would respond to a challenge with EBOV-Makona, which has spread throughout West Africa. Previous animal studies demonstrated that VSV-EBOV could successfully protect monkeys against the first EBOV strain recognised, Mayinga, in 1976, and against EBOV-Kikwit, a strain that emerged in Central Africa in 1995. This new study shows that certain immune responses induced by VSV-EBOV are similar against all three viruses. Scientists from US National Institutes of Health(NIH)’s National Institute of Allergy and Infectious Diseases Division of Intramural Research, concluded from these findings that VSV-EBOV likely would be equally protective against different EBOV strains. The group also observed that the experimental VSV-EBOV vaccine appears to provide initial protection by triggering innate virus-fighting host responses; these responses partially protected animals challenged with EBOV-Makona within a week after vaccination. Animals vaccinated more than a week before viral challenge developed antibodies, an adaptive immune response, that were shown to be critical for protection, researchers said.